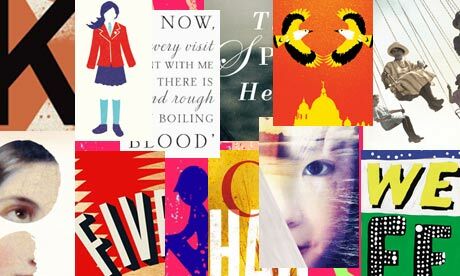 I’m excited that the Man Booker Prize Longlist for 2013 has been announced today (and you can get to know the novels at the Guardian’s website, here). The novels make up what has been described as the most eclectic longlist ever, and there are many new names on the list as well as few more familiar and established writers. I am looking forward to starting to read and review them again, as I found it a really rewarding experience last year: one that made me read books I might not otherwise have read, learn new things about modern writing, and engage with other readers, too. I will be starting with The Testament of Mary by Colm Toibin (as that was available in my local Waterstones), and am already looking forward to getting stuck in. The chair of judges, Robert MacFarlane, seems excited by the breadth and range of the novels chosen, and the judges, having read through over 150 novels, seem to have come up with a list which is short on the literary heavyweights – perhaps intentionally; and this is not necessarily a bad thing. The judges – Robert Douglas-Fairhurst, Natalie Haynes, Martha Kearney and Stuart Kelly – seem to be come from either academic or journalistic backgrounds, but are bound to have very different tastes; I’d love to be privy to the discussions which whittled the full list down to this longlist! 15 October 2013 – Winner announcement. Ooohh super! When the short list comes out, it seemms that every bookshop in Australia sets up a stand with a display of all the books short listed. I don’t do as much fiction-reading as I used to, but wherever possible these days, it is based on the Booker Prize short list. Starting this year, I think, with Charlotte Mendelson’s offering “Almost English”. I think displays will be forthcoming, just not till tomorrow! Yes, I like the look of ‘Almost English’. Let me know what you think of the ones you read! Hi, Serena. Thanks for this post, looks like it will give me lots of good reading to get through. Haven’t read any of them yet but I’m already rooting for Charlotte Mendelson because I thought Daughters of Jerusalem was a wonderful first novel. Thank you! Yes, it looks good, doesn’t it? I haven’t read Daughters of Jerusalem but will try to get to it soon! Let me know what you think of any of the novels you read. Harvest by Jim Crace is the only one that vaguely interests me. Literature’s only worth reading if it bothers with the working class. Anything else is bilge. Interesting, if controversial, point of view. You are dismissing a lot of literature! What is the point of literature, then – polemic, perhaps?